A class A CDL is a requirement for those who will be driving a specified type of commercial vehicle. It includes a higher risk and responsibility and hence, it has higher qualifications compared to other types of commercial driver’s licenses. The government has implemented several new regulations in order to provide the public with safer driving conditions on the road. This includes stricter requirements especially to those who will be engaging in commercial or truck driving. You can learn about these requirements by reading through this article. A commercial driver’s license is the type of license which is required for those who will be driving for commercial purposes or simply put, if you will be driving to earn a living. It includes those who will be employed in truck driving or in driving buses as a source of living. Commercial driving is different from driving vehicles for personal use and hence, is covered by a different set of rules. When you apply for a commercial driver’s license, you will be faced with several options which differ depending on the type of vehicle and type of material that you will be transporting. A class A CDL is given specifically to those who will be driving a commercial vehicle which has a gross vehicle weight rating of more than 26,000 pounds and the weight of the vehicle being towed is more than 10,000 pounds. 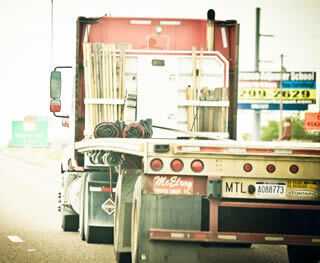 This includes a trailer, a semi-trailer, or any type of combination vehicle which is used for commercial purposes. It is important to note that a driver will have to add other types of endorsements to this license in order to operate a particular type of vehicle. These endorsements include double/triple trailer, passenger, school bus, hazardous materials, and tank. The government will require you to possess several characteristics. You will have to pass a physical exam in order to determine your fitness for the type of driving that you will do; undergo a medical exam to make sure that you are free from any disease that may affect your driving; undergo a background check if you will be handling hazardous materials; and you will also have an ocular exam to make sure that you have the required visual acuity for the job. You will also be asked for your Social Security number as well as any other driver’s license that may have been issued to you by another state. There are several requirements for a class A CDL, the government specifies to ensure applicants pass their standards. You will be required to undergo a test, which shall be divided into a written or oral examination and then an actual or practical one. The written exam will cover topics which are included in the DMV Manual which can be gotten from your local DMV office. The practical exam will cover pre-trip inspection, basic control skills, and a driving test on actual traffic conditions. If you want to be well-prepared for these exams, you must enter a driving school where you can learn these skills much better.